First off, let me inform the viewer that we have purchased this pistol before we were able to film a regular SHS episode. If we see another one out there, we will obviously let you know. 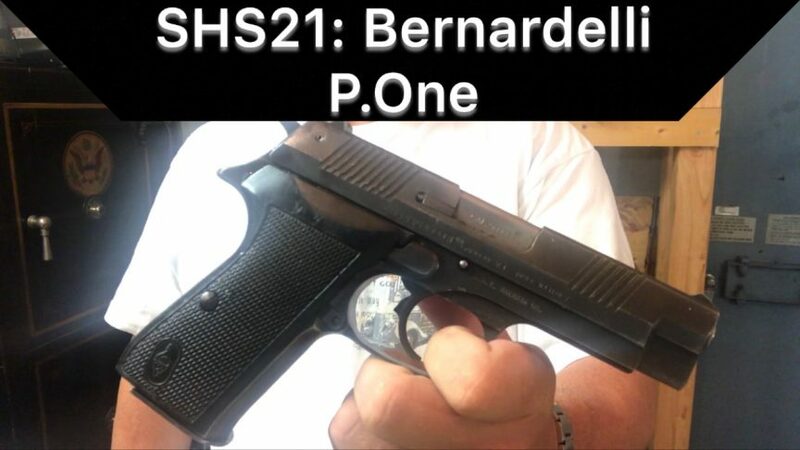 What we have here is a Bernardelli P.One Pistol. Can be cocked and locked. Two 14/15rd (?) factory magazines. Imported by Century as surplus. These initially came into the United States during the assault weapons ban, so those all have 10 round magazines. Since this one came in straight from Israel it has standard capacity magazines. The finish is rough from being carried on the job. The double action pull is quite heavy, but the single action is very good. Also the slide to frame fit seems phenomenal. Other than that we don’t know that much about the pistol. Checking on the web, it also seems that Bernardelli ceased operations; at least temporarily, in 2017. With that last piece of information, it is not unreasonable to expect the value of this pistol to climb over time. Not that we purchase firearms as an investment. In most cases we acquire them as a reference guns. And an Italian made Bernardelli pistol certainly falls into that category. At least in United States. I’ve never seen another one in the wild. I “think” I saw a particular European police force with them in the summer of 2017. But I can’t be 100% sure.